The folks in the farthest-flung suburbs of Detroit can vouch for that. Following the collapse of the housing market, exurban communities throughout southeast Michigan are struggling under heavy debt taken on under the assumption that the housing market would expand in perpetuity, according to a recent Free Press article. 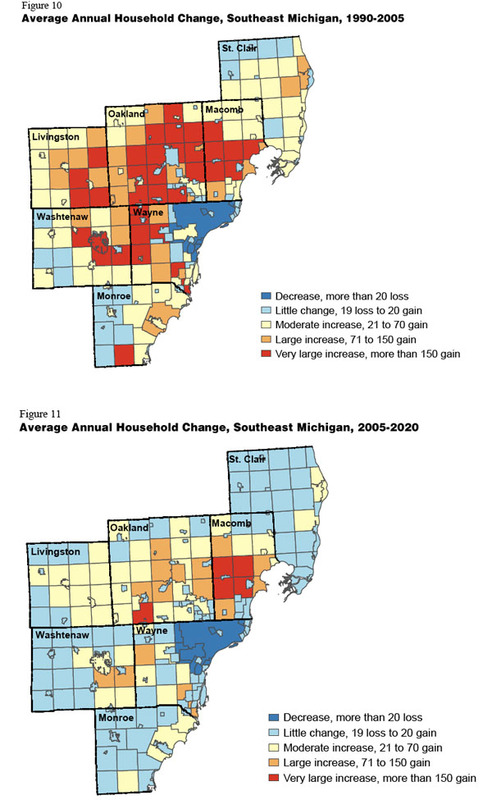 These maps show growth, by number of households, before and after the recession in southeast Michigan. The sharp reduction of red squares in the second map shows the dramatic slowdown in growth in the far outskirts of Detroit (along with the central city, in dark blue). Image via the Southeast Michigan Council of Governments. Interestingly, one community has managed to avoid the fate of its neighbors. 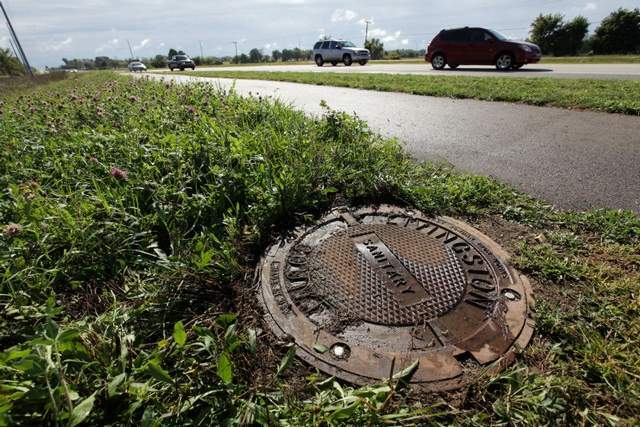 Since Macomb Township had an agreement requiring the developer to pay for the infrastructure, the community isn’t experiencing a fiscal crisis. Isn’t Oakland County where that official wrote a screed in defense of sprawl?